On March 5th, 6th, and 7th, the Berta Cabaza Middle School Varsity Choirs participated in the Region XXVIII UIL Concert and Sightreading Evaluation at the Harlingen Performing Arts Center. There were a total of 3 choirs from Berta Cabaza Middle School, including a Non-Varsity Tenor-Bass, Non-Varsity Treble, and a Varsity Mixed Chorus. 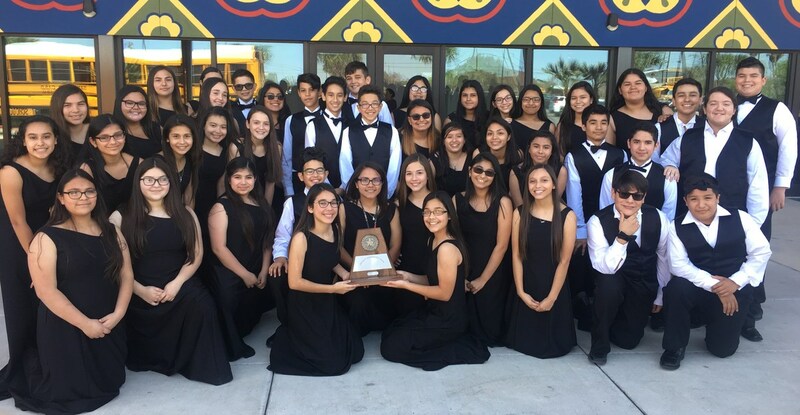 The students received 3 trophies for their superior performances, including 2 Sweepstakes awards for receiving straight 1st Division ratings in both their concert and sightreading performances. Over the past six years, the Berta Cabaza Middle School Greypup Chorale has established itself as a prestigious choral program in the Rio Grande Valley. 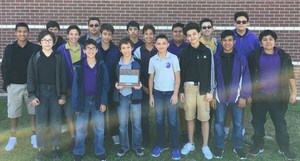 The program’s consistent success and numerous achievements at various contests throughout the school year validate the high quality of musical instruction that occurs in the classroom, and is a reflection of the outstanding educational system that is present at Berta Cabaza Middle School. 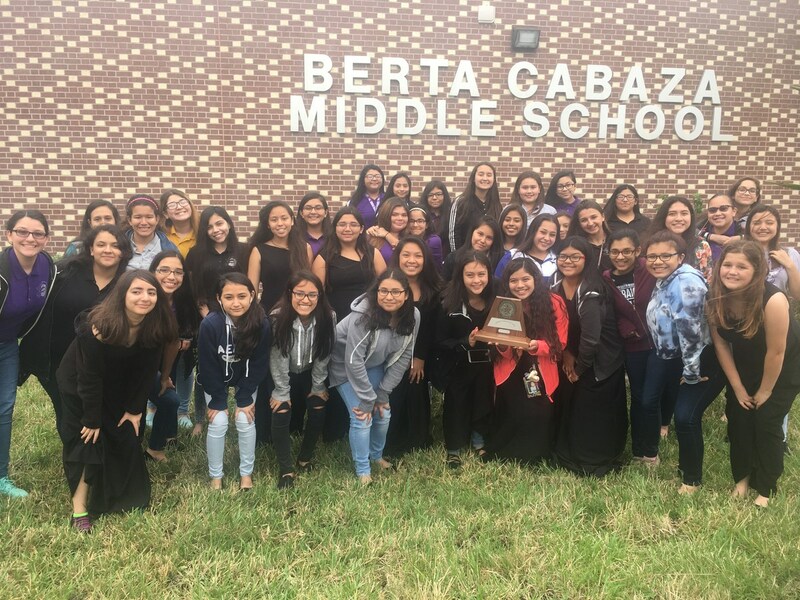 The Berta Cabaza Middle School Choral program is directed by Eradio Martinez and Sarah Trevino, the Head and Assistant Choral Directors respectively.